If you have kids, you know that choosing a name can be… well, lets just say a bit tricky. After all, a name is supposed to last a lifetime, so the last thing you want is to f*** it up. And that name that you’re so in love with? Hah. Most likely, someone in your circle of friends and family absolutely hate it. I hate to break it to you, but naming a brand is no different. It’s not uncommon to plough through hundreds of potential names before finding one that works and that isn’t already taken. A great brand name is timeless, easy to pronounce, and easy to remember. Just like your brand’s visual assets, the name also has to communicate your core values and brand personality – after all, you’re gonna use it in pretty much all of your communication; phone calls, emails, your website, packaging, presentations, business cards… yeah, you get my drift. Your name becomes even more important in situations where you can’t use the visual elements of your brand, like in a radio advert or when someone mentions your brand in a conversation. 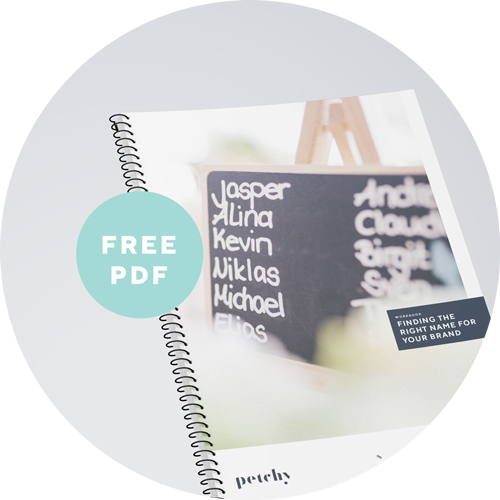 This workbook is meant to help you kick-start the process of finding the perfect name for your brand. If you haven’t already defined your brand’s mission statement, vision, and core values, I suggest spending some time working through my brand foundation workbook first. 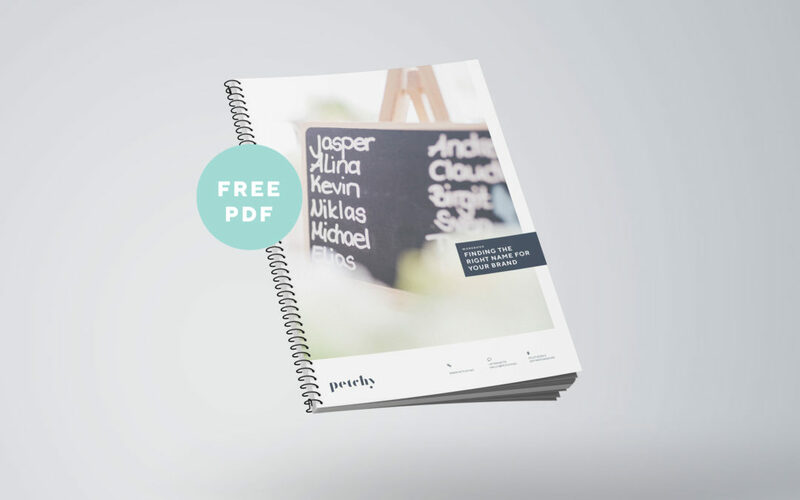 Sign up for immediate access to your workbook – then grab a cup of coffee, a marker and a whole load of post-it notes, and get ready to find the perfect name for your brand! Yay! That perfect name is just around the corner – now go find it!